Argentina's World Cup Campaign: Can Messi emulate Maradona? After an agonizing wait of 28 years, World Cup history came ever so close to repeating itself. On July 13, 2014, Argentina met Germany in the finals as they did on June 29, 1986. Inspired by Diego Maradona's genius, Argentina prevailed over their European rivals in the Estadio Azteca in Mexico in 1986. In the Maracana in Brazil four years ago, however, Lionel Messi's genius failed to inspire his side to victory. 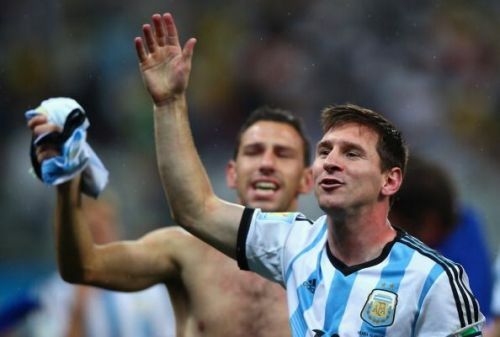 For Argentinian football fans around the world, the emotions ranged from shock to dismay. Four years have passed but Messi is still the best player in the world of football. Can Argentina achieve glory this time around? With just over four months to go for the start of the 21st edition of the FIFA World Cup, all eyes will be on Russia. Thirty-two teams will compete for football's greatest prize. For all those in Argentina and for all of Messi's fans around the planet, the focus will solely be on whether the best player in the world can win for his country, the best prize football has to offer. The South American wizards came close to being eliminated in the World Cup qualifiers after a goalless draw with Peru. But Lionel Messi came to the rescue with a hat-trick in the all-important clash against Ecuador to book his team's place in the 2018 World Cup. 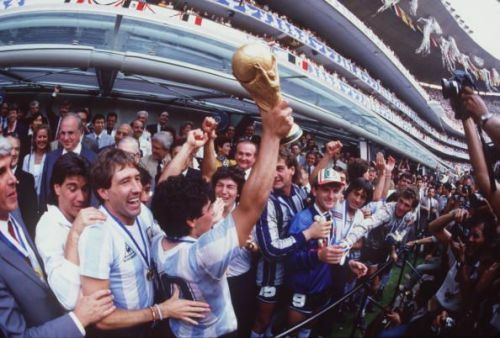 A look at Argentina's history in the World Cup is essential to shed light on the glorious past which the country has had, the legendary names associated with the game in Argentina and why millions around the world are hoping for an Argentinian victory. No other World Cup, perhaps, has created the magic which the 13th edition did. No other player since the great Pele has ever left such an imprint where an entire tournament is remembered for the exploits of one individual. Not that the other teams were devoid of great players. Brazil had Zico, France had Michel Platini, England had Gary Lineker (who won the Golden Boot with 6 goals). But Zico and Platini committed the cardinal sin of missing penalty kicks (in the same match) and had a mediocre tournament. In stark contrast, Maradona scored the greatest goals the world has ever seen. 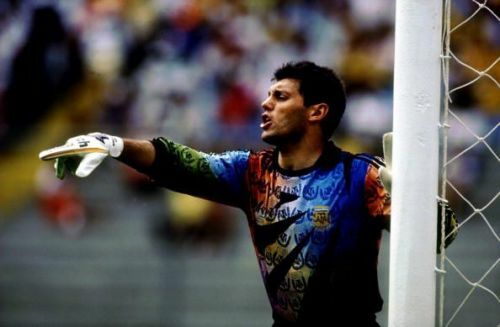 In the quarter-final against England, Maradona scored twice; the first was the infamous "Hand of God" goal where he punched the ball into the net with his hand, much to goalkeeper Peter Shilton's chagrin and dismay. The second was a masterpiece of a goal with a scintillating dribbling run. Maradona's brilliance continued in the semi-finals against Belgium with two goals; one of them again demonstrating the sheer mastery of the man. 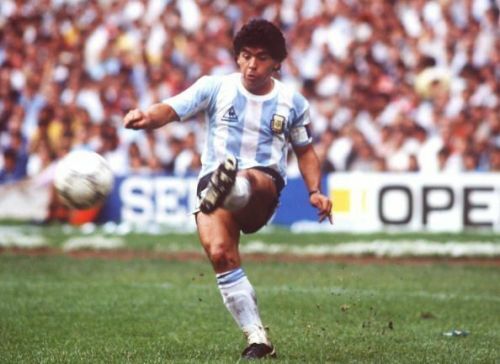 One observer described Maradona's ball control thus - "it was as if the ball was a puppy, trained to heel, which could twist and turn at will, knowing instantly, which way the master intended to move." In a dream final, Argentina took on West Germany. Maradona did not score in the finals. Nevertheless, he was instrumental in key moves. The match was memorable as Argentina led 2-0 before West Germany equalized with 2 goals from 2 corner kicks. Finally, Maradona set up Burruchaga for Argentina's third goal and the World Cup was truly his. Argentina lifted the Cup for the second time with the 1978 one having been the first. In a country known for its'skilful strikers, one gifted custodian ensured by his heroics that an Argentinian goalkeeper would be remembered forever. Argentina advanced to the finals riding on the back of successes in two penalty shootouts. Was it luck? No, it was Sergio Goycochea. In the quarter-finals against Yugoslavia, Goycochea dived once to his right and once to his left to keep out two penalties and take his team through to the semi-finals. As if that wasn't enough, Goycochea was faced with a similar scenario again in the semi-finals against hosts Italy. He blocked a shot from Roberto Donadoni and one from Aldo Serena to help Argentina defeat hosts Italy and meet West Germany in the finals. Argentina played a defensive game throughout the tournament and it was the goalkeeper who was instrumental in his side finishing runners-up to West Germany. Post-1990, Argentina never made it beyond the quarter-final stage of the World Cup until 2014. Yet, there were some great players who ensured that the South American giants never lost the flair and magic that the world so loved and admired. A great striker who had his eyes set on goal and rarely missed the mark, Gabriel Batistuta instilled fear into the minds of many defenders around the world; and not without reason. 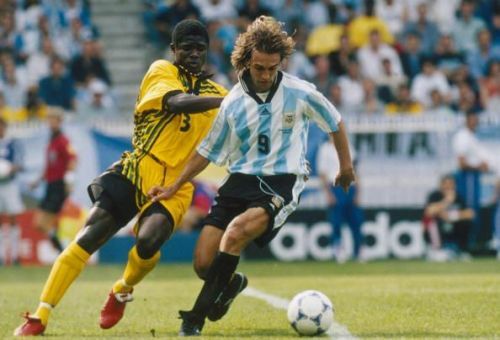 Batistuta played in three World Cups from 1994 to 2002 and scored ten goals, making him Argentina's leading goal scorer ever in World Cup history. Alongside Claudio Caniggia and Hernan Crespo in the forward line, he ensured that Argentina had a menacing attack. Alas, fate was not on their side, however, and Argentina never made it beyond the quarterfinals in 1994, 1998, and 2002. In 2006 and again in 2010, Argentina lost to Germany in the quarter-finals. The Cup was hosted, in 2014, by neighbours Brazil, and Argentina had it relatively easy in the group stages beating Iran and Bosnia Herzegovina and also getting the better of Nigeria. In the first round knockout stage too, unfancied Switzerland put up a fight but could not stop Argentina. In the quarterfinals, Argentina overcame a strong Belgian challenge to win 1-0. In the semi-finals, Dutch hearts were broken as Messi's side prevailed on penalties to beat the Netherlands. But in the finals, It was a case of so near, yet so far for Argentina and Messi as they lost to a better German side 1-0. Argentinian fans around the word were crestfallen. Would Messi have another chance? Can Messi emulate Maradona's feat? Can Messi inspire Argentina to win the Cup? So, we are back where we started. History beckons. Can Messi inspire Argentina? Argentina find themselves placed in Group D (which thankfully is not an acronym for Group of Death) alongside Iceland, Croatia, and Nigeria. Incredibly enough, Argentina and Nigeria have been drawn together five times in the last six world cups. Four years ago, Argentina riding on a Messi brace beat Nigeria 3-2 and in 2010. Argentina have struggled to qualify but should be good enough to make it through the group stages and get past Iceland and Croatia. History will be on Argentina's side against Nigeria, no doubt, with the Africans having failed to win on all previous occasions. Let us gaze at the crystal ball and make an analysis in the best way possible. If Argentina top the group, as one would expect them to, they would face the runners-up from Group C in the round of 16. Group C comprises of France, Australia, Peru, and Denmark. Going purely by rankings, they look likely to run into South American counterparts Peru or European contenders Denmark (ranked 11 and 12 respectively). That spells danger for Messi's boys as it was the drawn match with Peru which almost ended Argentina's hopes of qualifying for the Cup. If Argentina prevail against Denmark or Peru, again going purely by rankings, they would run into Portugal in the quarterfinals (winners of Group A against runners-up of Group B) as one expects Portugal to beat Russia or Egypt. If they do indeed meet Portugal, it would set up a mouth-watering contest, given the great rivalry between Messi and Ronaldo. Should Argentina prevail over Portugal, they could then meet old foes Germany (if the Germans play true to form) in the semi-finals which would potentially be an amazing contest. If the dreams of Argentinian fans worldwide are realized and they go all the way, a final against Brazil or France is a possibility given the draw and the format. Many around the world would, no doubt, relish watching the traditional South American rivals in the final. While the above possibilities are subject to all teams performing in concordance with their rankings, let us hope, that like Maradona did in 1986, Lionel Messi can inspire and catapult his side to their third World Cup title. Befitting indeed it would then be for the best player in the world to lift the greatest trophy the sport has to offer. Does Messi need to win the World Cup to be the GOAT?